Pathway uses FDA-approved medication that counteracts the addiction in a person’s brain and dilutes the impact of the drug if the person relapses. The center also offers professional counseling for patients. Pathway treats people on an outpatient basis, meaning they come for appointments at the clinic regularly, instead of the traditional rehabilitative, intensive 30-plus-day model associated with substance-abuse treatment. Pathway takes patients who voluntarily come to get treatment, and the health-care provider takes most major insurance providers, except for Mississippi Medicaid. The University of Mississippi Medical Center entered into a partnership with the Mississippi Department of Health in February 2018 to launch UMMC Epic Connect, a project that links electronic health records between the two organizations. The joint project uses an advanced electronic health-care system called Epic that manages clinical information, registration, scheduling and billing functions. 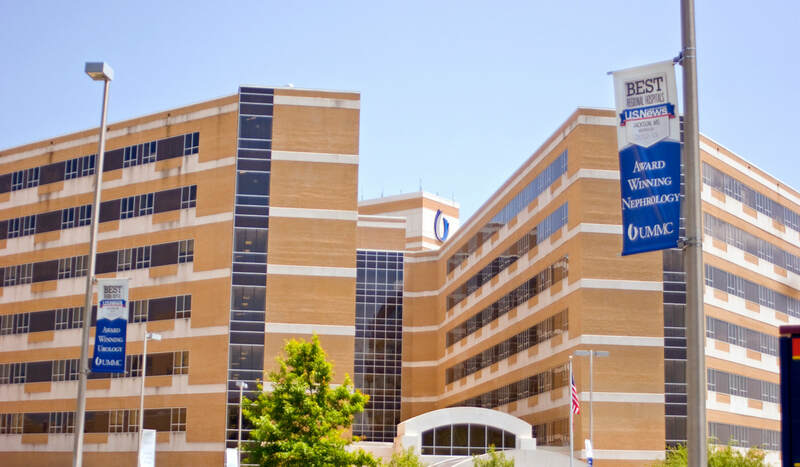 UMMC Epic Connect allows the hospital to provide the system to other health-care organizations across the state, with the first being MDH. If a Department of Health patient visits UMMC, Epic allows the health-care provider to access that patient’s MDH records. Health-department providers can also access records for UMMC patients who visit their clinics. The hospital’s Division of Information Systems put out a pilot version of Epic Connect in nine Department of Health clinics in central Mississippi earlier this year, and the program went live in the remaining 77 health department clinics in the state on Feb. 12. Mississippi lawmakers approved Senate Bill 2836 to update the state’s Medicaid program on Tuesday, March 27. The new law, which goes into effect on July 1, allocates nearly $1 billion in state funds for the program that insures one in four state residents. It will establish funding for addiction treatment, and remove the previous limit on the number of doctors’ visits and prescriptions. Legislators agreed to the bill after negotiations that focused on an effort by a group of Mississippi hospitals to obtain part of the managed-care insurance business from the state agency. The government health-insurance program for the needy is funded with state and federal dollars. For every dollar the state pays into the program, the federal government pays about $3. University of Mississippi Medical Center’s John D. Bower School of Population Health launched a collaboration with the Jackson-Hinds Comprehensive Health Center in April 2018 called #DefeatDiabetesMS. The collaborative health practice project will aim to reduce type 2 diabetes in the Mississippi, which UMMC states currently affects 15 percent of the state’s adult population. #DefeatDiabetesMS will focus on more thoroughly screening patients seen at the Comprehensive Health Center in Jackson. Staffers will ask patients a set of questions to gauge if they are pre-diabetic, and if so, will offer medical help and education on lifestyle changes. The questions cover family history of diabetes, blood pressure, physical activity and a patient’s weight and age. JHCHC and UMMC will use the data to determine whether pre-diabetes rates in the state are increasing or decreasing over time. Results Physiotherapy, a national physical-therapy organization, held a ribbon-cutting ceremony for its clinic in The District at Eastover in November 2017, following its initial opening in May of that year. Australia native Gary Cunningham founded Results Physiotherapy in 1996 together with Olympic swimmer Tracy Caulkins. The clinic offers outpatient treatment for sports-related injuries; post-surgical treatment; headaches and migraines; lower back pain; nerve conditions; neck, shoulder, hip, back and foot pain; knee sprains, tendonitis, arthritis, vertigo and more. Jackson Comprehensive Treatment Center, an outpatient treatment program for adults struggling with opioid addiction, opened on Lakeland Drive in September 2017. The center offers medication and therapy to help patients overcome addiction to heroin, prescription drugs such as oxycontin, hydrocodone and fentanyl, and other opioids. Medication options at the center include methadone, buprenorphine and naltrexone. The center requires patients in the methadone and buprenorphine programs to visit each day for their medication initially. Doctors administer naltrexone as a once-a-month injection. Patients at the center also participate in therapeutic and educational activities such as individual- and group-counseling sessions. The University of Mississippi Medical Center opened Express Personal Health, a free HIV testing clinic for those who may be in danger of infection, on the third floor of the Jackson Medical Mall in February 2018. The Mississippi Department of Health provides funding for UMMC to operate Express Personal Health and provide HIV screenings—but not on-site treatment—to individuals who are at high risk. UMMC also received a grant from Gilead Sciences, a California-based biopharmaceutical company, to fund free testing for hepatitis B and C, and for the sexually transmitted disease syphilis. Express Personal Health occupies the space that Crossroads Clinic was in before it relocated to the health department’s Five Points clinic on the medical mall’s first floor in June 2017. That office offers STD screening and treatment for those diseases, except for HIV. Five Points and Express Personal Health provide immediate referrals to community clinics and organizations for treatment for those who test positively for that disease. Testing requires only a blood sample from a finger stick or mouth swab, which a laboratory will then analyze for the virus and deliver results in about 20 minutes. UMMC will link people who test positively with an HIV primary-care provider on the same day. The Leapfrog Group, a national nonprofit that collects and reports information on hospital performance, gave St. Dominic Hospital in Jackson an “A” rating in its spring 2018 survey for patient safety. St. Dominic, which is the only hospital in Jackson to receive the designation, also earned an “A” ranking in the group’s last four rating periods. Nine hospitals throughout Mississippi earned an “A” rating in the spring 2018 survey, and 750 received the designation nationwide. The Leapfrog survey is peer-reviewed and freely available to the public. It uses 27 measures of voluntarily and publicly reported hospital safety data to grade more than 2,500 hospitals twice per year. For more information, visit leapfroggroup.org. Recently, Merit Health Central partnered with the Mississippi Braves baseball team and the Mississippi Tobacco Quitline to launch an initiative to promote a tobacco-free Trustmark Park. The park implemented a new policy that prohibits tobacco use at the stadium for Mississippi Braves staff, players and park visitors. The policy went into effect on April 5. The Mississippi Merit Health network is also working with the Mississippi Tobacco Quitline to provide resources at its nine statewide hospitals and 25 primary-care clinics to assist anyone that is ready to stop using tobacco. For more information, call 1-800-784-8669. The quitline’s services are free and all information, referrals and support are confidential.